Many people are unaware that grapefruit juice may have adverse reactions when combined with certain medications, and now a new study shows there are even more drugs on the market that carry the risk. A team of doctors are warning in the Nov. 26 edition of the Canadian Medical Association Journal that between 2008 and 2012, more medications are being sold that can cause serious side effects -- even death -- when combined with grapefruit juice. "Many of the drugs that interact with grapefruit are highly prescribed and are essential for the treatment of important or common medical conditions," the authors wrote. "Recently, however, a disturbing trend has been seen." The researchers found between 2008 and 2012, the number of medications with the potential to interact with grapefruit and cause serious problems has increased from 17 to 43 drugs, representing an average rate of increase of more than 6 medications per year. "This increase is a result of the introduction of new chemical entities and formulations," they wrote. What's more, there are more than 85 drugs in total that cause some kind of reaction when taken with grapefruit juice, according to the study. Grapefruits -- as well as Seville oranges used to make marmalade, limes and pomelos (but not typical oranges) -- contain a chemical called furanocoumarins, which affects the way some medications are absorbed and metabolized in the gastrointestinal (GI) tract. As a result, more of the active medication enters the bloodstream. High concentrations of certain drugs can cause kidney damage, GI tract bleeding, respiratory failure, bone-marrow suppression in people with compromised systems and death. The negative interactions can even occur if grapefruit juice or similar substances are consumed hours before taking the pill, meaning even eating one grapefruit while taking a once-daily medication can have a negative effect. 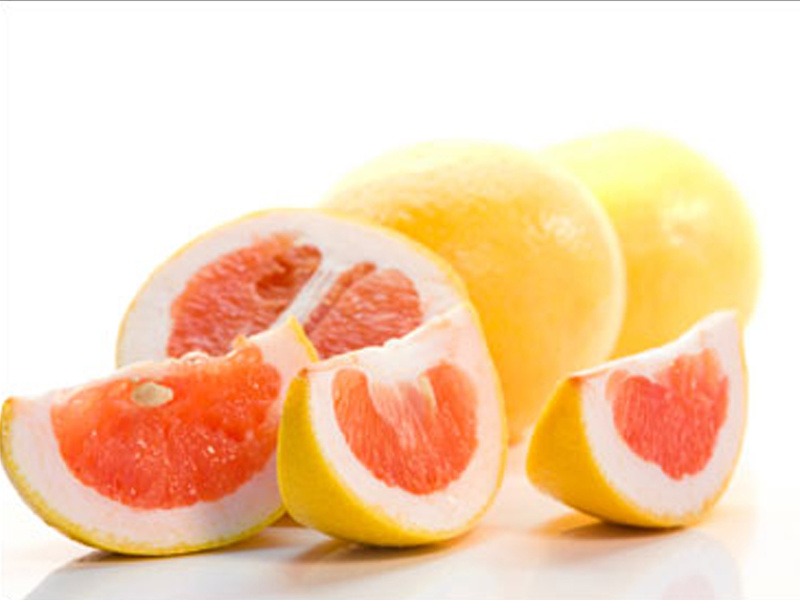 For people who drink grapefruit juice daily, it could magnify the adverse reaction. For example, a statin used to lower cholesterol called simvastatin created a 330 percent higher systemic concentration of the drug when the patient drank a 200-mL glass of grapefruit juice once a day for three days compared to when they just drank water. "Taking one tablet with a glass of grapefruit juice is like taking 20 tablets with a glass of water," author David Bailey, a clinical pharmacologist at the Lawson Health Research Institute in London, Canada, said to the CBC. He discovered the negative reactions that occur when grapefruit juice is combined with certain medications about two decades ago. "This is unintentional overdosing. So it's not surprising that these levels go from what we call therapeutic to toxic." Medications that are affected by the citrus juice are all taken orally and combine in the gastrointestinal tract with an enzyme called CYP3A4. Usually only a small fraction of the active drug enters the bloodstream, a process known as very low to intermediate bioavailability. Drugs that carry an interaction risk include Zocor and Lipitor, which are used to lower cholesterol; Nifediac and Afditab, which lower blood pressure; and some opioid pain relievers like oxycodone. Other medications that can't be combined include some anti-infective, anti-cancer, cardiovascular and urinary tract infection medications. Patients and doctors can see whether or not the medication has these interaction risks on the package inserts included with the medication, but the study authors fear that no one actually reads them. "Unless health care professionals are aware of the possibility that the adverse event they are seeing might have an origin in the recent addition of grapefruit to the patient's diet, it is very unlikely that they will investigate it," the authors wrote. "In addition, the patient may not volunteer this information. Thus, we contend that there remains a lack of knowledge about this interaction in the general healthcare community." People 45 and older are most at risk because they are also the most likely to buy grapefruit juice and also the most likely to take these kind of prescription drugs. Neal Patel, from the Head of Corporate Communications Royal Pharmaceutical Society, said to the BBC that this study should make people aware of more negative interactions that some food items can have with their medication. For example, milk can stop the absorption of some antibiotics if taken simultaneously. "Pharmacists are the best port of call for anyone concerned about how their diet may affect their medication," he said. "Information about any interactions would always be included in the patient information leaflet that comes with the medicine."